Stylish hardtail as E-MTB. The 27.5'' E-MTB Vitality Dice 7.0 features a frame construction with fully integrated battery, good features and an even better price-performance ratio. 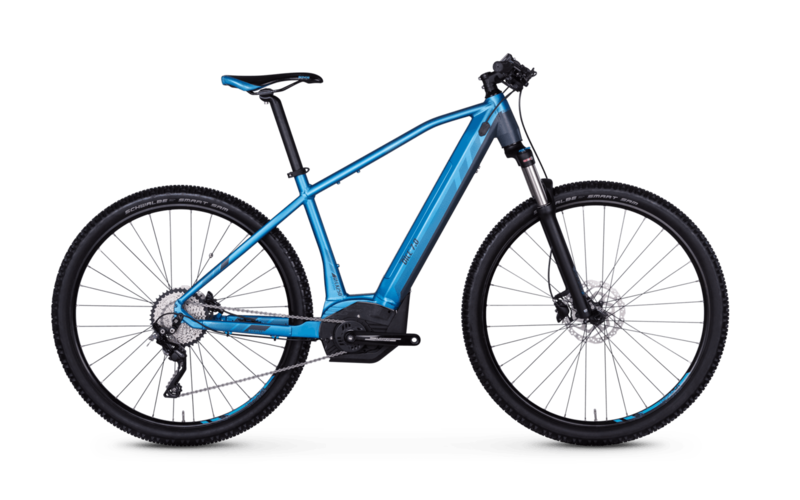 Even with smaller wheels, the e-bike, which weighs slightly more than 23 kg, convinces with a Shimano XT rear derailleur and an overall harmonious selection of components, e.g. the XCR Suntour suspension fork with 100 mm travel, the first-class Smart Sam tyres from Schwalbe or the robust YAK25 rim from Schürmanns. The E-MTB's powerful and fully integrated mid-mounted motor comes from the Bosch Performance CX series and is powered by a 500 Wh power pack.